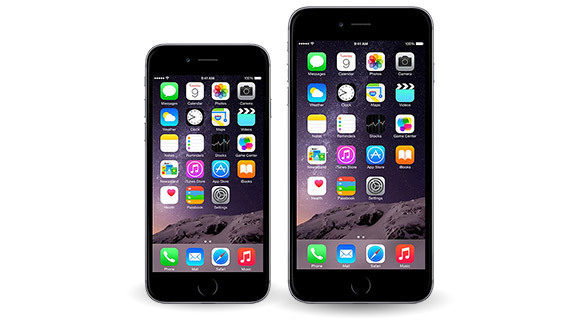 The iPhone 6 (and 6 Plus) just might be my pick for this year's best product. There is so much that has been improved over the 5S, the most obvious being the bigger screen sizes and improved battery life. Especially impressive is the new camera -- it takes stunning photos and video every time, making it less necessary to carry a point-and-shoot camera. The new NFC (Near Field Communication) support that makes Apple Pay possible is equally impressive. The fit and finish of the new iPhone is superb, and the curved edges feel better in the hand. Apple has also increased the storage capacity, now offering 16GB, 64GB and 128GB models. If there had to be one thing I would critique about the iPhone 6 it is that the camera lens sticks out a little bit on the back, but I'm OK with that. From baller to gym rat, great gift ideas for the athlete on your list. Tablets, smart phones and other top gadgets for all your favorite techies. From sports and music to science and art, gift ideas for the kids on your list. Great gift ideas from the editors of ESPN The Magazine. Open up Caddie Claus' holiday bag for great gift ideas for golfers. Top athletes reveal their favorite holiday gift ideas. The fans on your list will be cheering for these holiday gifts. With these holiday gift ideas, the fun is in the bag...Santa's bag, that is.